Hi everyone, I wanted to share with you how easy it is to do your own gel polish at home, and without it being too costly. The last two Items listed are for removing your polish. Now you can buy kits from some sites that have everything you will need a good starter kit my friend bought actually came from Tesco’s. It cost around £40.00 that included the lamp and everything you need, though the gel and colour polish were small bottles. Ok, so the best way to start is with clean, filed nails. 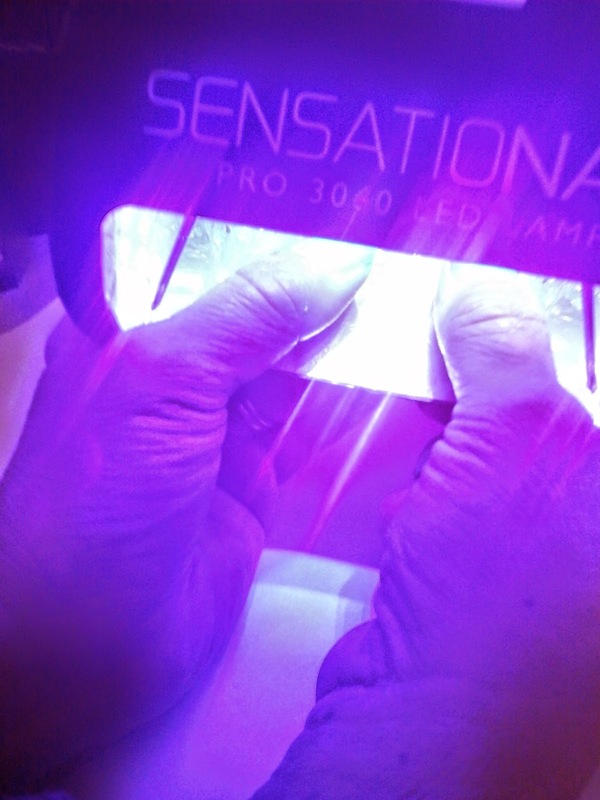 It’s good to give them a soak beforehand so you can push your cuticle back, which will help the longevity of the polish. DO NOT use a gel polish system if you have any broken skin around your nails or any fungal infections or damage to your nail. Only do your fingers first, not thumbs. Apply your gel base coat length way’s as if you were painting on a nail polish, making sure the nail is totally covered, then paint across again at the nail tip. Only apply a fine layer. Now apply your top coat. You will notice under the light it will appear white in colour, and you can see if it’s totally covered. If not quickly touch up and slide hand back in. Hold the lamp with both hands with just your thumbs in there. When you have finished all nails, use the nail prep again to finish. That’s it all done! I hope some of you out there will find this helpful. It can save you a fortune, rather than going to the nail salon all the time. Let me know how you get on, or any queries, just ask! Previous Post WHERE DID THAT MONTH GO? Next Post MY PREDICTION WAS RIGHT! (WELL NEARLY) HAVE YOU GOT YOUR’S YET? 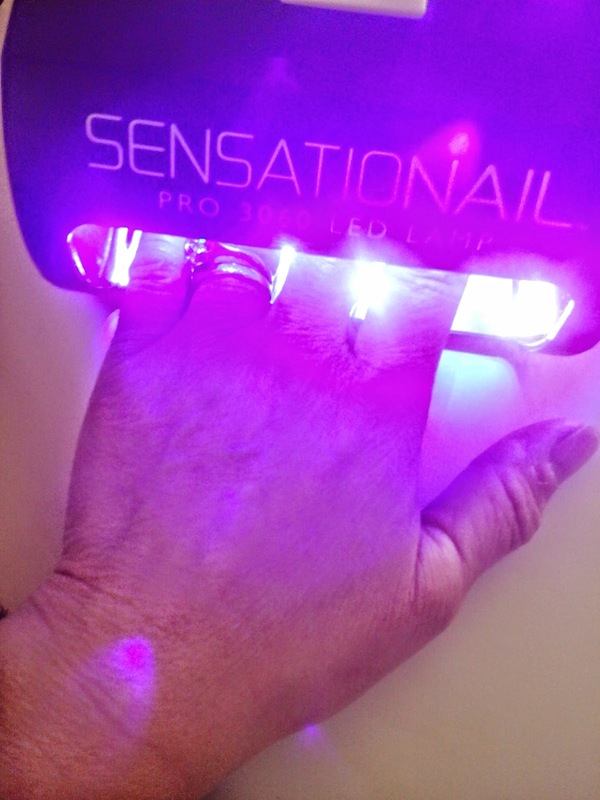 Wide array of affordable products for your nail and beauty salon needs. Best prices on name brand items like CND Shellac, Essie, China Glaze, Oster, and more. Here are Manicure supplies, Gel Nail Polish, Shellac Nail Polish, Barber Shop Supplies, Hair Cutting Shears, Spray Tanning Equipment, Sunless Spray Tanning and Hot Shave Lather Machine.